At J S Dobbs & Co Ltd, we carry a wide range of dementia and alzheimer’s healthcare solutions for patients and their carers. These cover every aspect of life, from household essentials in the bedroom, bathroom, kitchen and living room. This section features a selection of dementia essentials for the living room. Just click on the link below each icon for further information on that product. 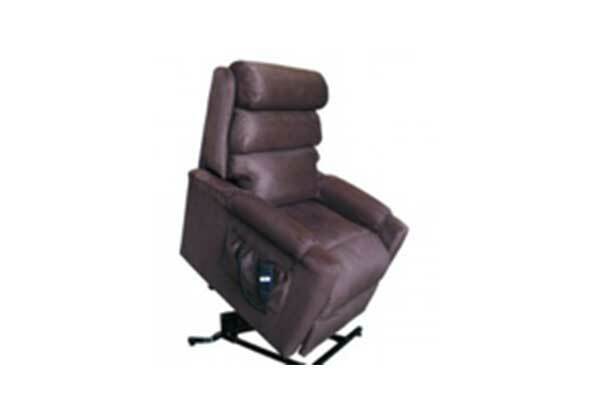 Stylea I single motor rise & recline chair. This chair has 3 individual fibre filled pillows that can be adjusted and a full leg support. This dual motor chair gives you all adjusting possibilities to reach a high level of comfort. The backrest moves independently from the footrest. It is equipped with 3 individual fibre filled pillows that can be adjusted and a full leg support. 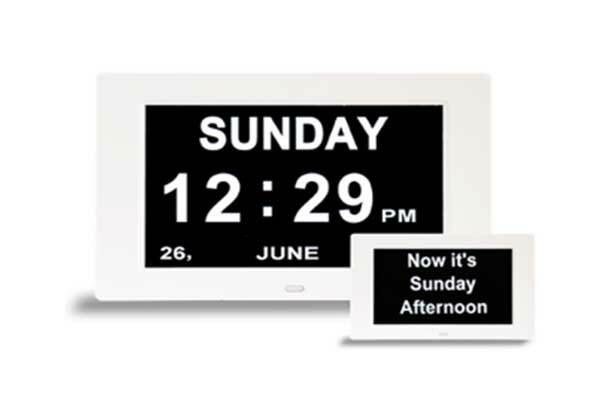 Simple digital day of the week clock with date, time and day orientation reminder. Perfectly suited for the elderly or anyone suffering with dementia or Alzheimer’s. 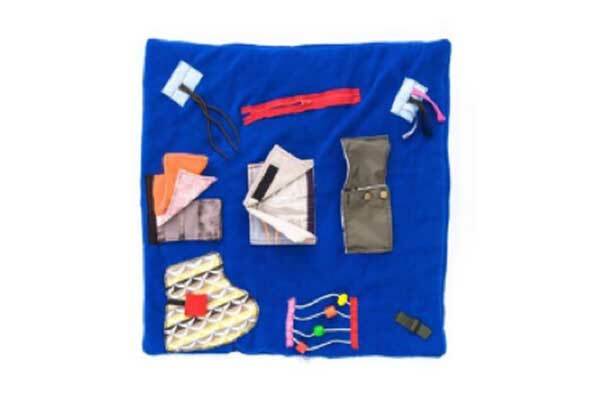 The Activity Blanket is for people with a dementia like Alzheimer’s keeps hands occupied and provides useful sensory stimulation. Enabling sensory stimulation for people with dementia. A centre plastic pouch /pocket for a favourite photo. Hand sized pocket with detachable mini cushions. Sturdy zip; three silk ribbons. 4 rows of coloured plastic beads threaded and edged with tassels and three strong laces edged with felt.